Liberty Seated dimes were struck from 1837 through 1891 and were designed by Christian Gobrecht. The long-running Liberty Seated dime series presents numismatists with many challenges, thanks to a plethora of scarce dates and varieties. 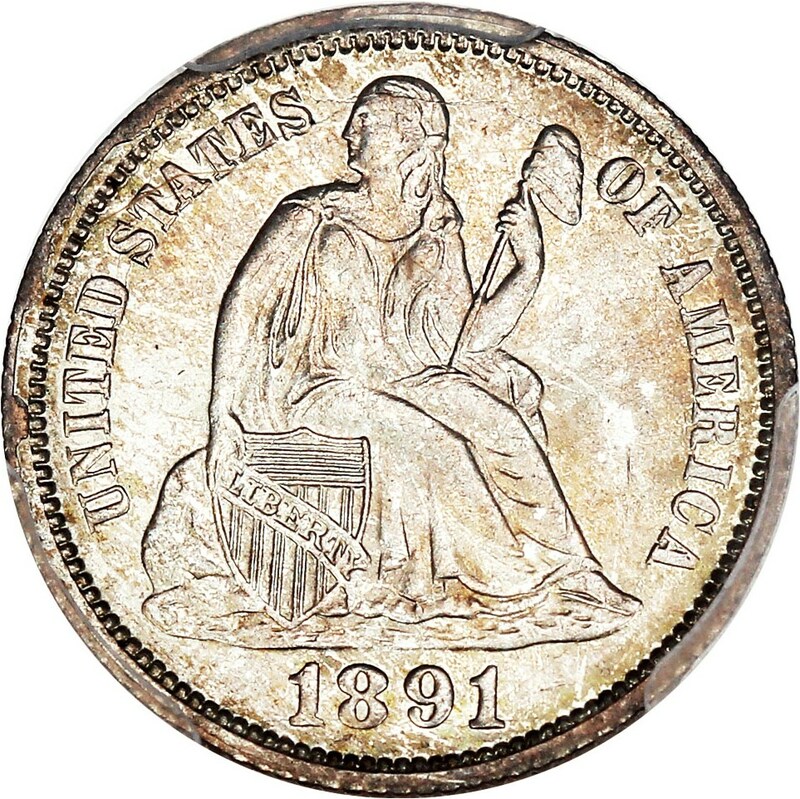 The scarcest issues include the 1859 Obverse of 1859 With Reverse of 1860, 1860-O, 1863, 1864, 1865, 1866, 1867, 1871-CC, 1872-CC, 1873-CC Arrows at Date, 1874-CC, and 1885-S The rarest issue of the series is the 1873-CC No Arrows, which is unique and sold in 2012 sold for $1,840,000 certified as an MS65 in a Professional Coin Grading Service (PCGS) slab. Several other dates are considerably scarce and command hundreds of dollars apiece in circulated grades.